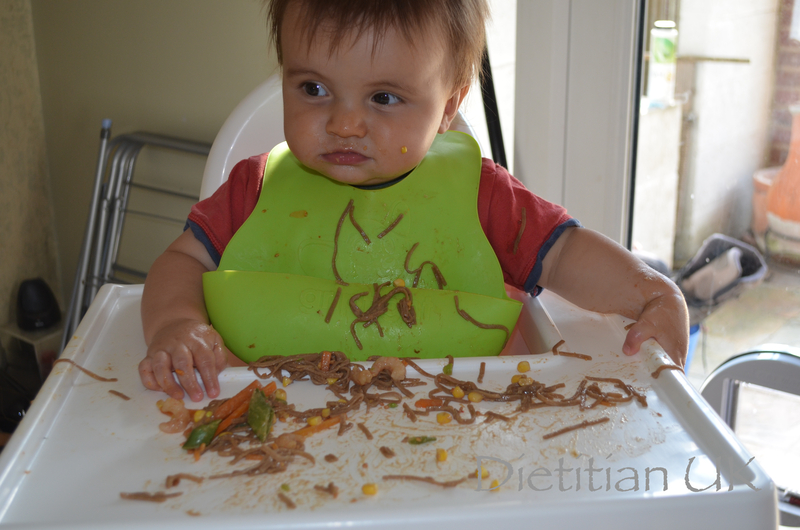 My boy (aged 2) has been in one of those fussy stages. Definitely not a fan of vegetables when they are just plonked in lumps on his plate. 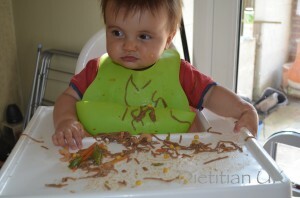 On a recent trip to Wagamama’s I watched him chow down a good portion of rice mixed with thin strips of carrots and peppers, so it got me thinking…. surely I could replicate that at home. It turns out the spiraliser does the trick for me. We’ve started having “carrot noodles”. It appears if I spiralise a carrot and pop it on a rice cake on top of cream cheese I am given a huge grin and the carrot disappears into the boy’s belly. Then added to noodles I get the same response. RESULT. The other win about this recipe is it is so quick to make and I always have the ingredients to make it on hand. I keep chicken frozen in batches which are quick to defrost. 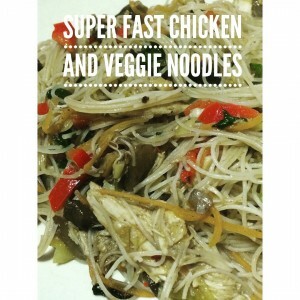 You can also completely make this your own and add prawns, other veggies, fish – whatever you have to hand. The above picture was made after a trip to London, we got stuck in traffic coming home and I was faced with starving children, within 10 minutes dinner was ready. 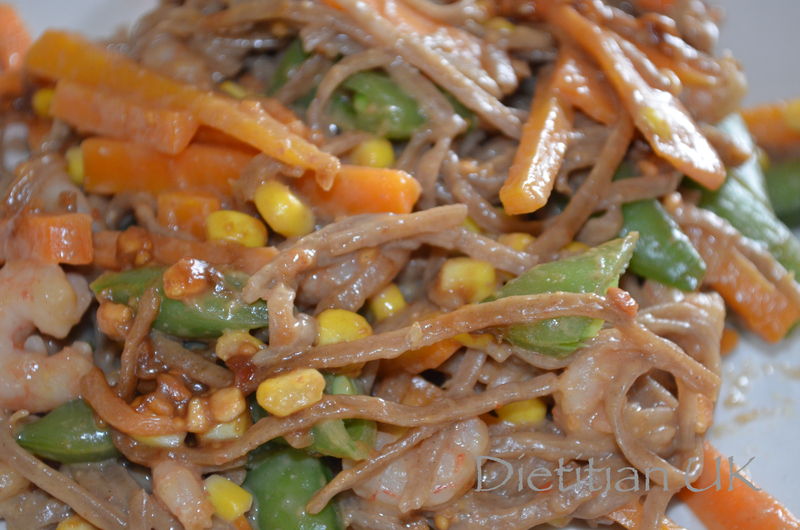 Place the noodles in boiling water and simmer for 3 minutes. Drain and set aside. Meanwhile spiralise the carrot, chop the pepper and onion. Heat the oil in the pan, add the veggies and cook for a couple of minutes. Crush the ginger and add to the pan. Grate in the ginger and add the 5 spice and chilli (if using). Add in the soy sauce and sweet chilli sauce. Now put in the chicken and heat through until the chicken is hot. 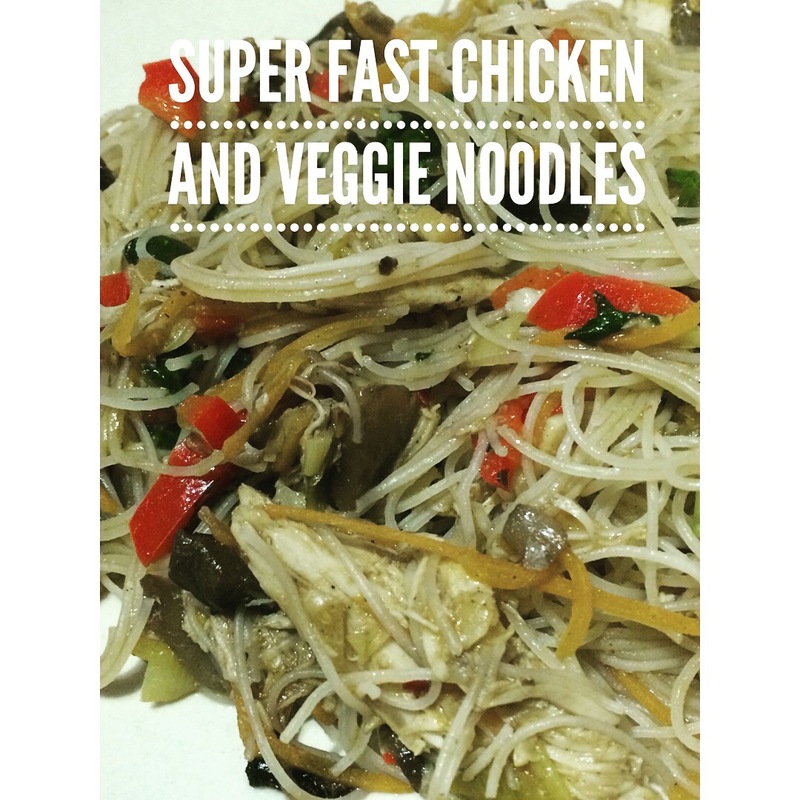 Finally mix in the noodles and reduce the heat to low whilst you mix well to combine it all. Top tip: you can keep root ginger in the freezer and grate from frozen, including the skin.